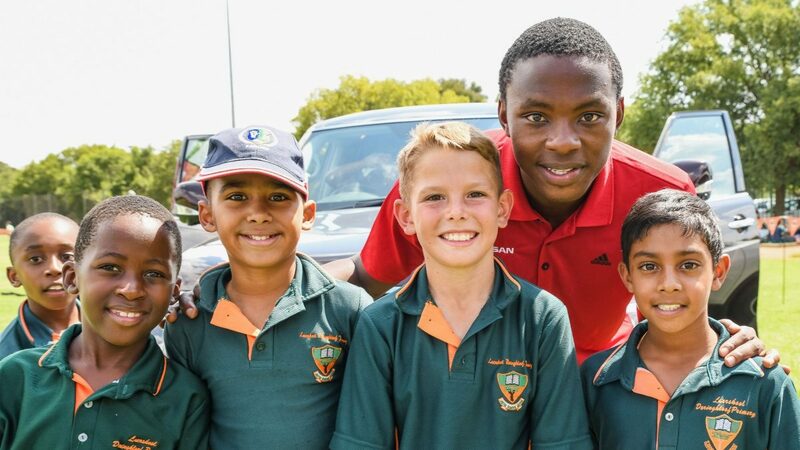 15 MARCH 2018, Centurion - South African fast bowler and Nissan ICC Brand Ambassador Kagiso Rabada took a pause day to do something he is deeply passionate about - host a cricket coaching clinic at Laerskool Doringkloof Primary, in Centurion on Thursday afternoon. 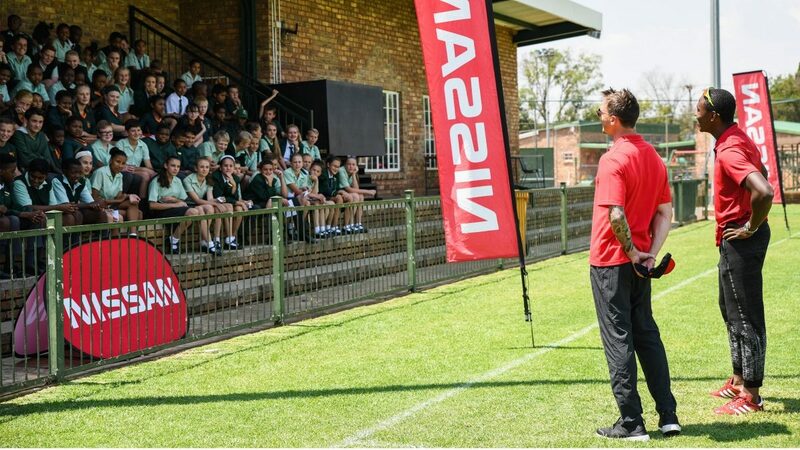 Nissan and KG's shared passion for growing sport in South Africa has led to this collaboration which saw the first coaching clinic hosted at an Auckland Park school last year. In the 2018 edition, following an extensive selection and voting process for the chance to enjoy a once in a lifetime cricket coaching clinic with KG, Laerskool Doringkloof Primary in Centurion was chosen as the winning school. For two hours on Thursday, 15 March the cricket team enjoyed a coaching session with the South African cricket megastar on a personal level. 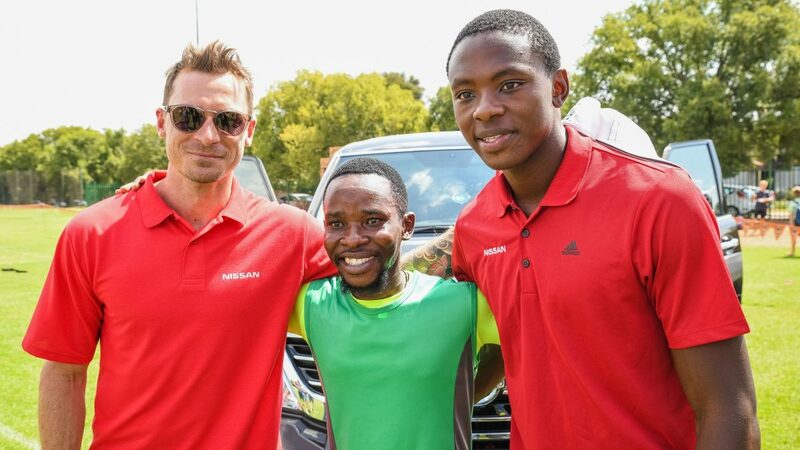 Not only did the team experience an afternoon with KG but they also received a variety of cricket equipment from KG and Nissan valued at R10 000, snacks and drinks throughout the afternoon as well as an appearance by fellow Protea, Dale Steyn who co-hosted the clinic with Rabada. 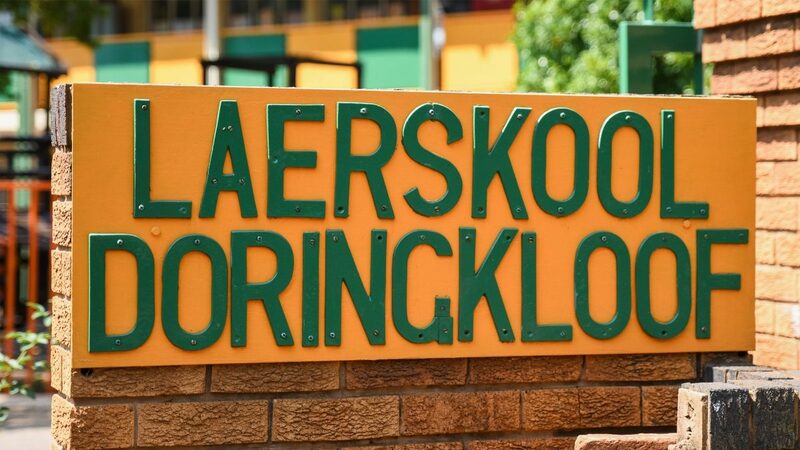 Aptly chosen as the winner, Doringkloof's ethos is based on the belief that school-based sport it is an important part of a child's overall educational experience. According to the school "When children participate in sport, they benefit not only physically, but also socially and mentally." 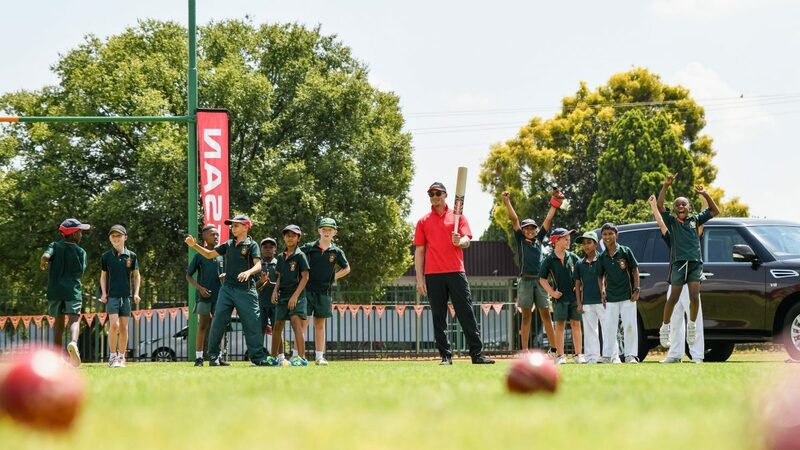 The coaching clinic is in line with the car manufacturer's attempts to help the ICC grow cricket in all corners of the world, and giving scholars and fans like these unexpected access to both the game and to the brand's ambassadors. Doringkloof Head of Sport, Vernon van der Merwe says both the school and the boys were very excited to be part of this special occasion. "It is the only thing the boys had been talking about all week. The school is also very happy and enormously grateful for the kit we have received from KG and Nissan today. Receiving bats, balls, helmets, pads and other items means we can accommodate more of our boys who are not privileged enough to have a kit of their own." 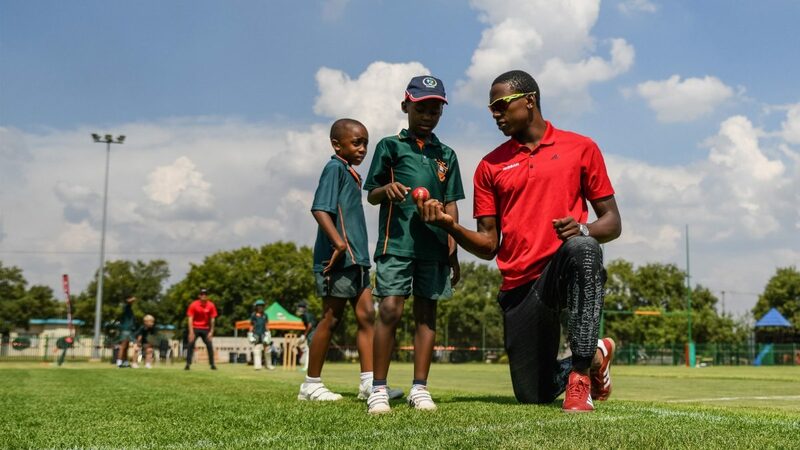 The world's number 1 test bowler was clearly in his element when engaging with the kids at the coaching clinic: "It's a great day because we're giving back and we're here to inspire kids. I'm always pleased to see a happy kid because there's always something positive going on in their mind. It feels really good to have a platform like this and to be in a position to inspire them. I'm certain that these kids are inspired to have Dale and I work with them today and that's just the thing that could give them a spark to help them achieve their dreams. I'm happy when I can be productive with my time and have a positive influence on the community." 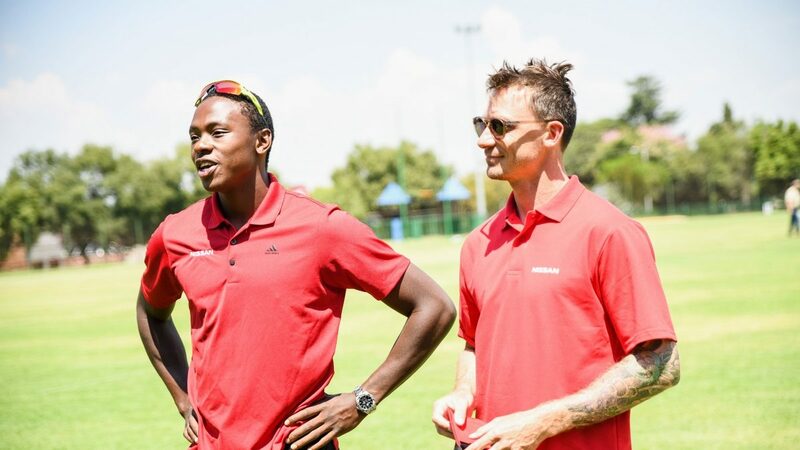 Fellow Proteas bowler Dale Steyn was equally excited about spending the day with KG coaching the students." Firstly, I really love kids. When I was roughly the age of the kids that attended the clinic today, former South African bowler-batsman Fanie de Villiers came to my school, which had a massive impact on my life. The minute I met him I was crazy about cricket. 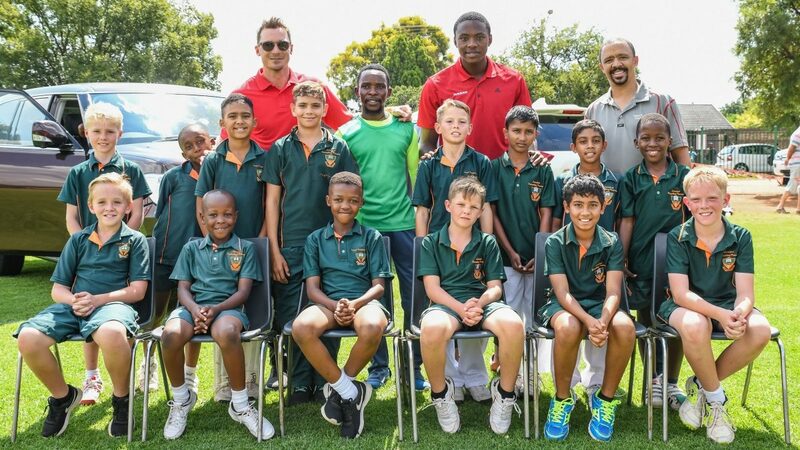 I loved coming here today and hopefully some of these kids, after listening to KG and I talk, we may find that one could become a future South African cricketer, or perhaps some kid may even develop a cure for cancer. For me, that's the important thing, that somehow, we may be able to inspire kids to go on to do amazing things. 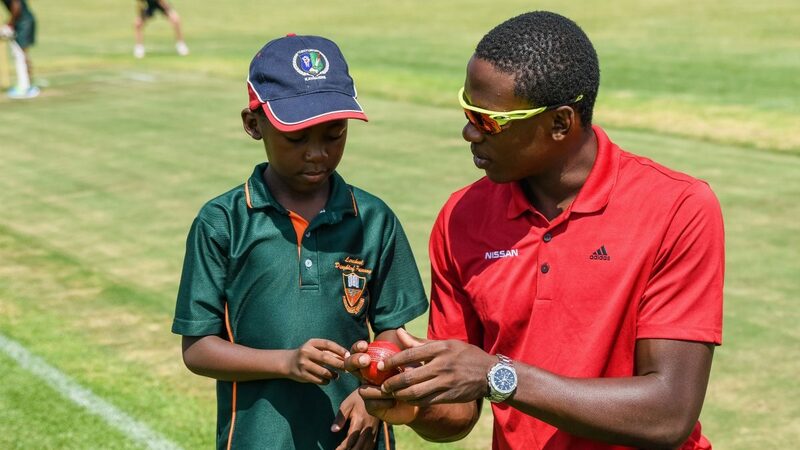 My biggest accolade would be if some kid turns around in 20 years' time after creating some amazing invention, saying they were inspired after listening to Dale Steyn talk and because of that they've gone on to become who they are." 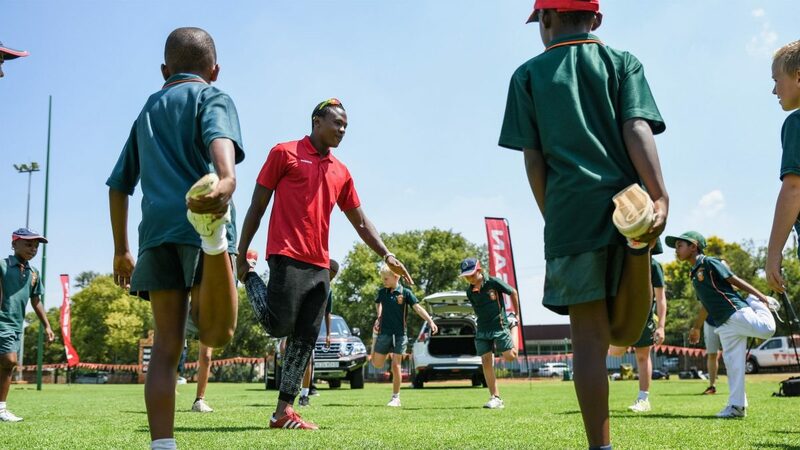 Gavin Rheeder, Senior Brand Manager Nissan South Africa who attended the clinic at Laerskool Doringkloof Primary and even stood in the slips fielding during the clinic spoke about their relationship with KG. "When we started the relationship with KG he was one of the guys with the most potential. Fortunately for us that potential has come to fruition and he's the number 1 bowler in the world and that is a great association for us. KG is a great role model. We saw it at the clinic today. The kids love him. Everybody loves him and looks up to him, so for us that's a magic association. 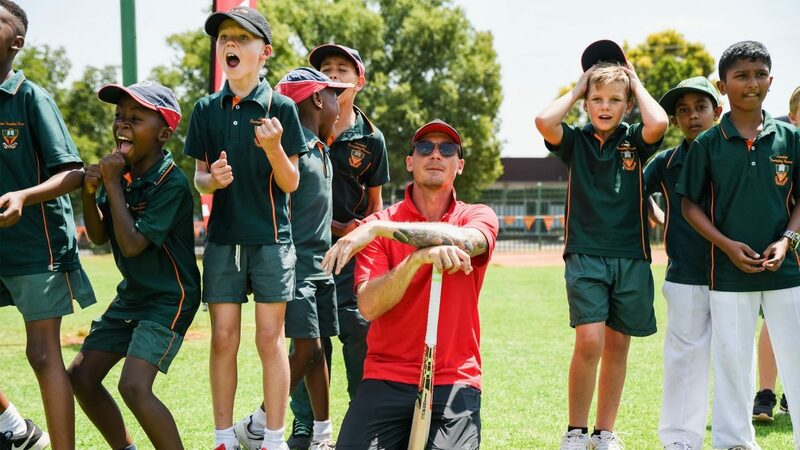 What's extra special is seeing the adoration that the kids have for both KG and Dale Steyn. These are their heroes whom they look up to, they probably have posters so the walls, and now they've met them. This is the unexpected access we love to bring to South Africans." 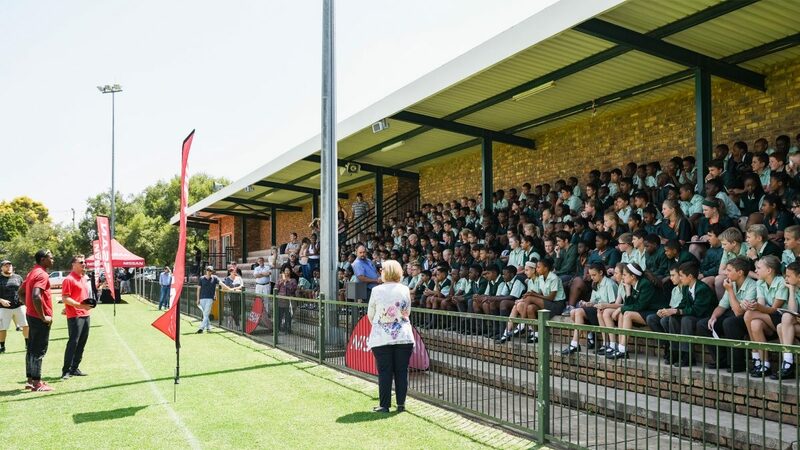 In ensuring the coaching clinics have a long-lasting effect, KG and Nissan have already decided that they will return to the school they visited in 2017, Vorentoe High School in Auckland Park to host a follow up coaching clinic where they will measure the impact it has had on the team.